GiveUsYourGOLD was called into being back in 2013 to release the music of Berlin based duo Psycho & Plastic. In the meantime, our small but passionate label has grown also turned its attention towards the solo works of its founders. First in line is the EP To by Plastik aka Alexandre Decoupigny. 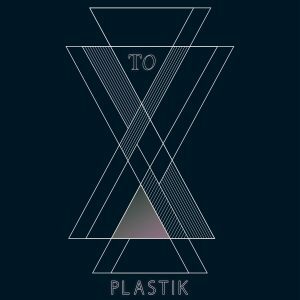 Plastik is German for plastic. In the same language, the word can also mean sculpture. Different meanings embedded in one word have the potential to be very poetic. Plastik uses this kind of poetry to investigate moods, images and stories, turning them into a very personal form of electronic music. Drawing heavily from club music styles rooted in minimal techno and deep house, as well as from hip hop and avant-garde electronic music, Plastik’s music focuses on texture and rhythm with a strong leaning towards the melodic. The result turns out equally as listenable as it is danceable. The record is inspired by Alexandre’s partner’s frequent travels between Berlin and Oslo, a theme already apparent in the titles of the first two tracks, “Leaving Home“ and “Take Off & Landing“. It was so they could remain close to each other that Alexandre wrote these pieces that became a permanent travel companion for his partner. In turn, the music compiled on To is based on piano recordings. These were taken in Liverpool many years ago and find new purpose here.